I'm a sucker for adorable little note cards and when I saw these cards in a weekly update that Stampin' Up! Demonstrators receive, I knew that I would be making them. Each note card uses the same measurements of paper and cardstock. I used several of the designs. 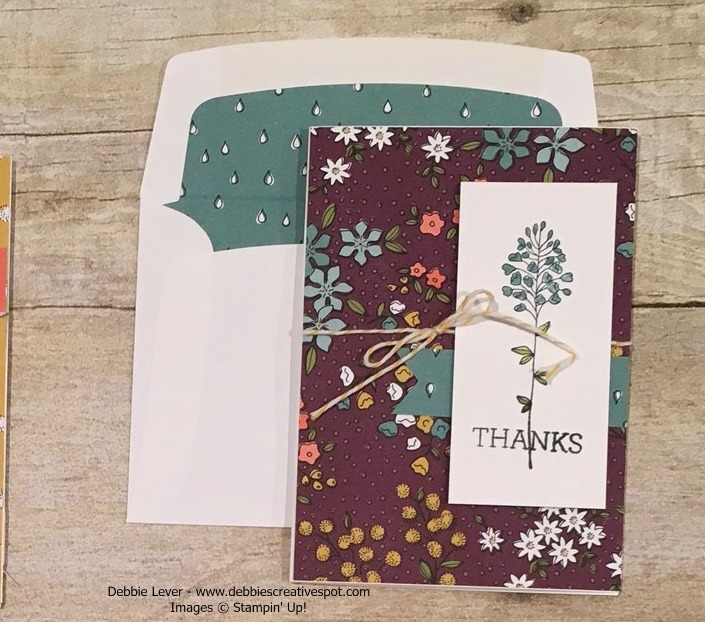 Cut a piece of Wildflower Designer Paper to fit the front of the note card at 3-1/2 x 5. Wrap a piece of Crushed Curry Bakers Twine around the paper, then adhere the paper to the front of the card. Tie a bow. Stamp the flower image in Basic Black ink on a piece of Whisper White thick cardstock measuring 1-3/4 x 3-1/2. Color flower images using a blender pen and ink. 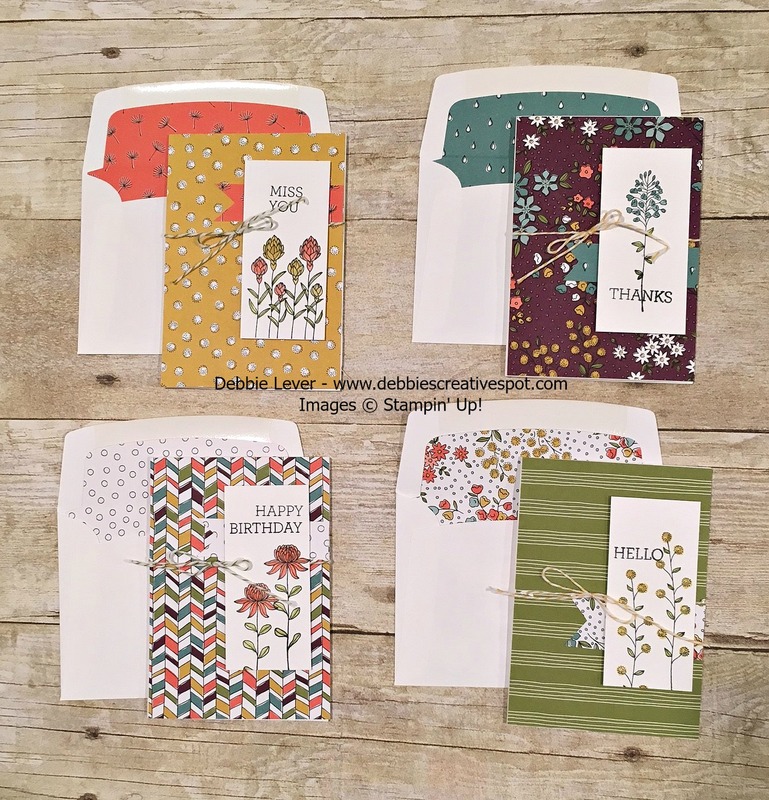 The various sentiments are from the Crazy About You Stamp Set. Each envelope is lined with the paper after cutting it out with the Envelope Liner Framelits Dies. I used a scrap of the same liner paper to make a banner to layer under the stamped image that measures 3/4 x 1-1/2. Very simple design = adorable note cards! Great for a hostess gift! I love this stamp set and coordinating paper!